Self doubt is a killer isn’t it? Well, it can be – if you let it. 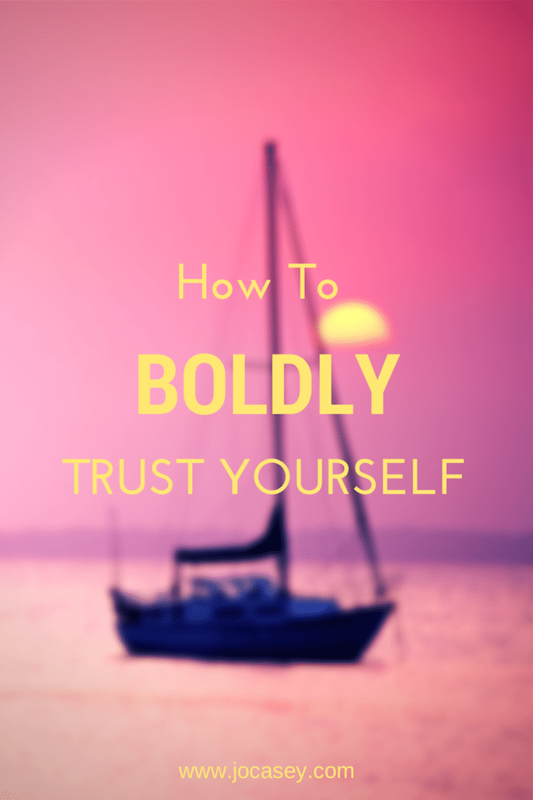 But if you choose to boldly trust yourself – my golly, does magic start to happen. Your self doubt – what does it tell you?  Listen – do you hear the human, vulnerability there? That will make you a beacon to others. Truth: Some people won’t like you. Coaches, writers, self help gurus abound. There will be some you like, some who evoke a distinct feeling on ‘Meh’ in you and others who just irritate the bejaysus out of you. I’d hazard a guess that most of those you dislike aren’t bad people. They’re just not your thing. The one’s you do like are your thing. That’s how it works. To paraphrase the song, If everybody sounded the same, we’d get tired of listening to each other. If you’re afraid that some people will find you too….whatever, you’re right. They will. And that’s OK. Really, you’re not going to be everyone’s cup of tea. And they’re not going to be yours either. But if you can be real, boldly trusting of yourself and your gifts and talents – that’s when the magic will start baby. That’s when you’ll start to attract the right people to you. If you trust yourself to BE yourself, that authenticity will shine from you like a beacon. You will be the perfect fit for a whole bunch of folks. If you wait until you have all of the answers you’ll deny the world your story. It’s the journey that’s the fun part. Share your lessons, your opinions – how you messed it up and made wild, bold mistakes. Then learned from them. Mistakes Create Wisdom. Wisdom Is Magnetic. Do you really think Oprah would be so wildly popular if she looked like Cindi Crawford or had been born into wealth and privilege? It is because Oprah talks openly about her own lessons, struggles and vulnerabilities that we love her. Her wisdom is one developed through living life in an open and honest way. You don’t have to have it all figured out. To be bold is to put yourself out into the world, trusting that what you have to say, do and experience has merit. Everything that has ever happened to you is the perfect preparation for the person you’re mean to become. The mistakes, f*ck ups and heartbreaks? They’ve all taught and shaped you and you can choose to pass those lessons and that wisdom onto others. You will be the perfect pathfinder for your tribe of people. The people who lurve peaches! Learn to tune into your inner boldness. You may need to be still and quiet in order to hear her. But she’s there. Waiting for you. Tune into your instincts. When you feel off kilter, ask yourself what needs to be done to get you back your equilibrium. This is where doing some simple relaxation or meditation can really benefit you – it doesn’t have to be anything complex – even a walk in nature (no headphones!) will help you to get back in touch with your inner voice. Your body, mind, spirit and soul all have things to tell you – if you pay attention. Listen with all of your senses. Physically when do you feel congruent and aligned? Your body reflects your emotions – let it speak to you. An acupuncturist friend of mine tells me that it’s so common that people cry during treatments for no reason they can explain, that she keeps a box of tissues by the head of her treatment table. ‘The body stores emotion, part of the work I do is unlocking it.’ she says. I’ve heard similar stories from yoga teachers, chiropractors and any number of physical therapists. There’s even a field of psychology devoted to it called somatic psychology. I’ve always liked keeping a journal as a means of self expression – Julia Cameron teaches the technique of using Morning pages – 3 pages of unedited stream of consciousness writing each morning, in her book The Artist’s Way. Cameron see’s the practice as an essential part of connecting with your artistic muse, but I think the practice has benefits even if you don’t identify as an artist. Think of it like clearing the static off the line between you and your inner self. Art board or large piece of paper (Good quality flip-chart is perfect) The purist will say art board is best but I’ve often used this technique in workshops with women who wanted an easier way to get their creations home with them (ever tried getting on a bus or tube with a big piece of art board?) so we experimented with using flip-chart paper that could be rolled up into a tube to carry home at the end of the day. So long as you’ve used decent quality paper it works fine. Magazines of various types. Lifestyle magazines with lots of pictures always go down well but photography, travel, craft and home decor also work a treat. Glue – the old fashioned ‘gummy’ type seems to work best. Glue sticks dry out and PVA get’s a bit…gloopy. Uninterrupted time essential – this is meant to be a relaxing, enjoyable experience – rushing kind of ruins the vibe! Let yourself off the hook with ALL of your preconceptions and desires to get this ‘right’ – just let yourself be attracted to whatever images, colors, words or sentences call to you as you flick through the magazines. You might want to set an intention for yourself for the session – or pose a question like: What am I really craving for me life right now? or, How would Boldness express itself? What would I like my life to contain in 12 months time? What are my deepest values? Then rip (or cut – some people are more comfortable being neat from the start) without judgement or editing. Once you’ve got a nice pile of cuttings, have a sift through and get rid of any images that no longer feel right. This is where your intuition comes in. As you lay the pictures on the board, you might get a sense how the board should to be laid out. For example, you might feel a theme for each corner makes sense or it might feel better just spreading the images all over the place. There really are no ‘rules’ for this – do what feels good and expressive. Glue everything onto the board. You can add writing, quotes, paint, glitter – there’s no vision board police going to come in and tell you what you can’t do so enjoy the feeling of being like a kid again – play around with it and make it fun! What are your favorite ways to get in touch with your inner self? Share your ideas below.